Dan and Marlene Lin live full-time on the road with their three kids Ava, Mila, and Luka, and Yoda their cat. 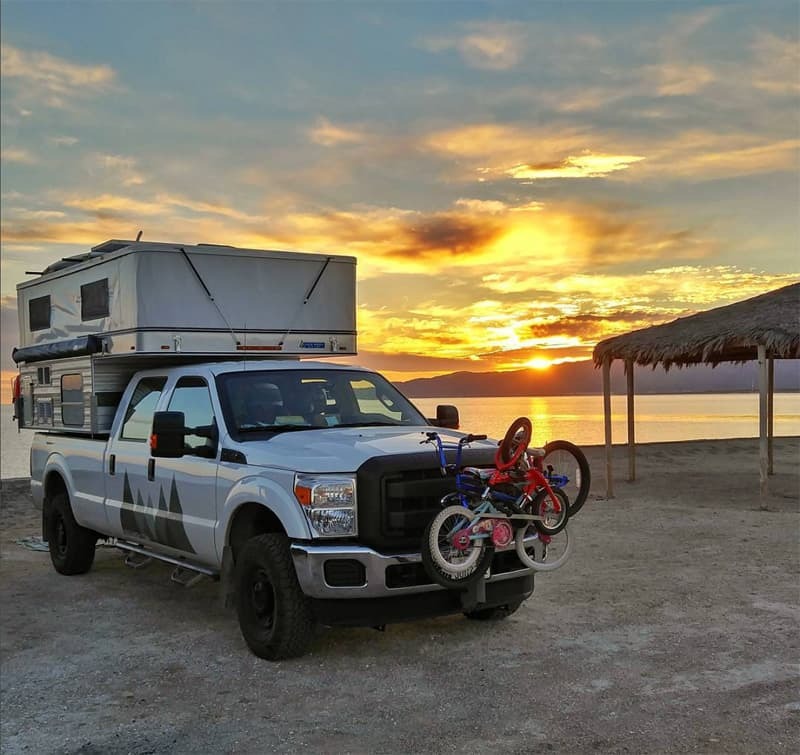 This is the incredible story of how they work, learn, and explore from their Four Wheel Camper and Casita trailer. Meet Mali-Mish, and leave your expectations at the door. The accepted life plan in most western countries is simple. You’re born to a family who lives in a house or apartment. You then go to elementary school, middle school, and high school. Next you either attend college or a trade school, join the service, or begin to work full-time. Whichever of these three paths you take, the following step is to meet a girl or boy, get married, get your own house or apartment, and have kids. Then your children begin the same plan. This life plan is so ingrained in our culture that it’s nearly impossible for many of us to imagine not following it. Not living in a house or apartment? Not going to school? Not getting married? Not having children? Not working? Unthinkable! But what if part of this plan isn’t for you? What if it felt confining – more like a sentence than anything resembling a happy and fulfilling life? Then what? You dare to live differently. History is full with people who lived extraordinary lives and didn’t exactly follow the normal path. In a funny way, this too is accepted, if not revered. More than any other family we’ve ever come across, Dan and Marlene Lin exemplify this idea. While they started life together following the normal life plan, they were compelled to break free and chart a very different course. 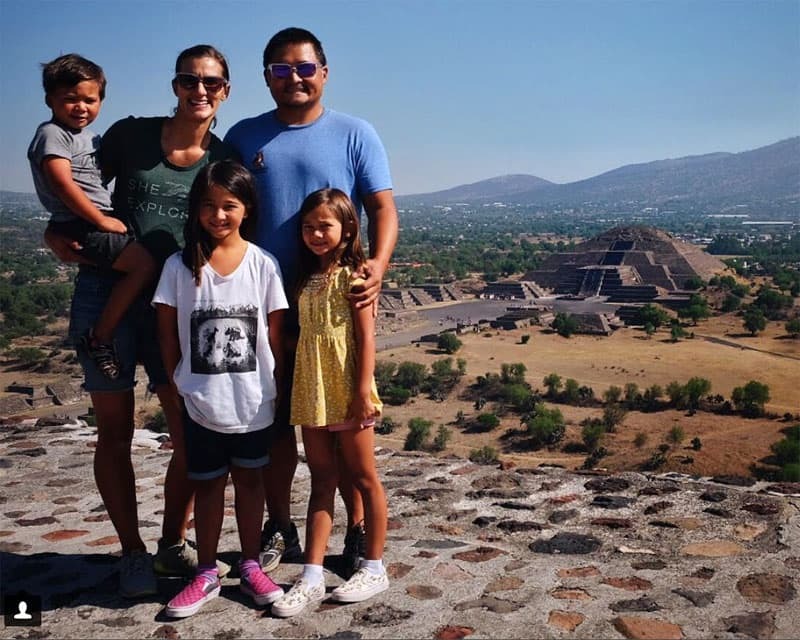 Today Dan, Marlene, their three children, and cat travel the United States, Canada, and Mexico in their Four Wheel Camper and Casita travel trailer rig. Through their Mali-Mish blog, videos, and social media networks they have inspired thousands of followers cheering them on as they blaze their extraordinary path. This is the story of what led the Lin family to live differently, how they make it work, and where their expanding Mali-Mish universe is going. TCM: How did you decide to live full-time on the road? Dan: Before we became full-time RVers, Marlene and I were content with our lives. We were the typical young 20-somethings going to work. We bought a house in Ventura, California and were actually looking to buy a bigger house. Then, when our oldest was ten months old, our dog unexpectedly passed away. We had wanted to do lots of traveling with her to the beach and mountains. We felt like we had missed out on that experience and didn’t want the same regret with our children. Traveling by air was not ideal with car seats, strollers, play pen, and lots of gear. So we decided to get a little trailer for weekend trips. After our very first extended trip, we realized what we wanted to do. We wanted to travel with an RV. That was the epiphany. TCM: You’ve been on the road since 2008, but you have not been full-time RVers the whole time. Why didn’t you sell the house right away?